Merging science and beauty in our eco-friendly wellness facility, Complexions is the paradigm med spa. Men and women come to see our professionally trained and certified skin care professionals for their experience and thoughtful application of advanced FDA -approved, non surgical cosmetic procedures. We offer microdermabrasion, chemical exfoliation, I2PL Skin Rejuvenation, GentleLASE laser hair removal, VelaShape III body contouring, and SmoothBeam laser treatment for acne, acne scarring, and sebaceous hyperplasia. In addition, we also offer eMatrix, a Sublative revitalization treatment for skin smoothing and wrinkle reduction and Sublime skin tightening. Our custom tailored treatment plans will rejuvenate your skin, correct damage from the sun, restore collagen, and help you maintain a healthy, youthful glow with little to no downtime. We are pleased to offer a unique skin analysis consultation using VISIA® – an advanced 3D digital complexion analysis system. This scientific approach uses a sophisticated imaging system combined with a one-on-one consultation with one of our experienced estheticians. The results obtained from the VISIA® skin analysis system will provide detailed information regarding UV photo damage, pores, bacteria, wrinkles, vascular health, textual variations, lash analysis, along with percentile scores which will provide the framework for creating a customized treatment program designed specifically for you and your desired results. We can even do side by side comparison images to show progress. Let our knowledgeable estheticians customize a facial rejuvenation program which combines the most appropriate modalities for optimal results based on your individual needs and goals. We believe that it is a partnership between what you do at home and our professional medical spa services performed in house that help you achieve your desired results. Together we can work towards the most beneficial and rewarding program resulting in a rejuvenated, vibrant skin condition. Come meet our friendly team of professionals in our relaxing and comfortable environment. We look forward to tailoring a personalized program of treatments whether for acne, age management, pigmentation, or simply a healthier looking complexions, assuring maximum results. Remove damaged skin and reveal a younger, clearer, more radiant complexion. Pre- and post-operative skin care for skin renewal, healing, and treatment of scar tissue. Treat mild to moderate wrinkles and textural skin irregularities for all skin types. Craft a customized facial renewal program with the appropriate modalities for optimal results. Our I2PL skin rejuvenation is perfect for many common skin imperfections and anti-aging. Gently removes hair with faster treatment times and decreased sensation. 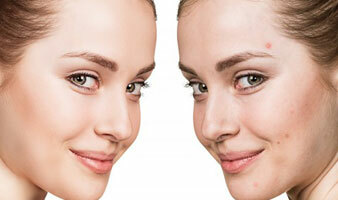 Clear all types of acne without side effects, discomfort, photo-sensitivity or downtime. Heal skin wounds, decrease inflammatory cells, increase microcirculation, and more. 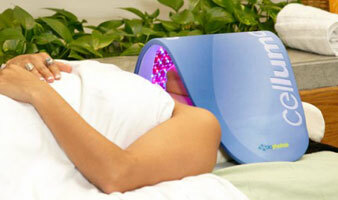 Regenerating treatment designed for aging skin, to reduce wrinkles and increase plump, firm skin. Exfoliation that removes the uppermost layer of dead skin cells from the face, chest & hands. Increases the amount of collagen in your skin creating a younger, fresher looking appearance. Comfortably reverse the signs of aging and achieve a more youthful appearance. 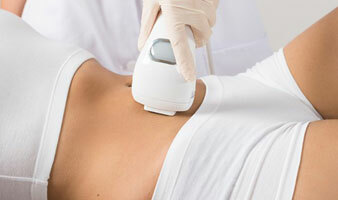 VelaShape III™, an FDA-approved cellulite and circumferential (inches just disappear!) treatment. Our certified wellness coach will assist you by assessing your nutritional concern’s and need. Here at Complexions Spa we’ve found that combining many different modalities is the key to beautiful, youthful skin. We are proud to partner with DeLuca Plastic Surgery to give our clients yet another avenue to achieve the results they desire. DeLuca Plastic Surgery specializes in exceptional cosmetic plastic surgery of the face, breast, and body. The practice has built up an incredibly strong reputation as a destination for quality cosmetic plastic surgery – attracting patients from Albany, Saratoga, New York City, and the surrounding areas. Dr. William DeLuca and Dr. David Tauber are both board-certified plastic surgeons dedicated to achieving the best and most natural looking results for all of their patients.